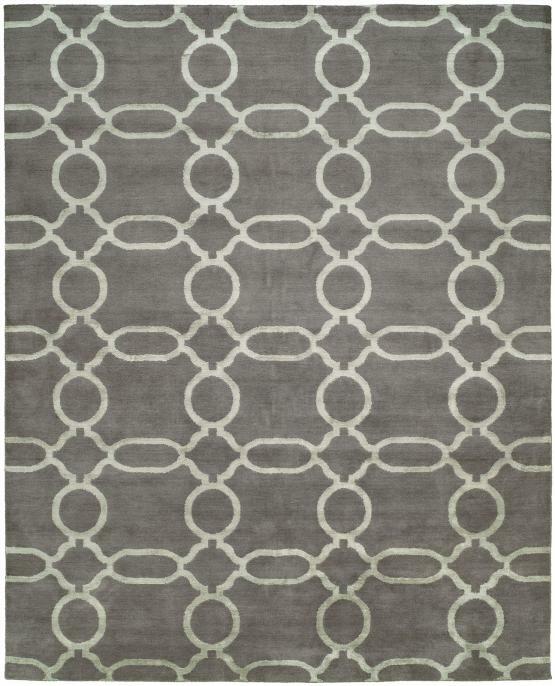 The Michelle rug in soft gray and ivory pattern is a transitional area rug and the last of it's kind in our showroom. This is a HAND KNOTTED, HAND SPUN wool rug, made in India. Fine quality and content. One piece left.